While on vacation in Michigan last week we stopped at a U Pick Blueberry Farm. 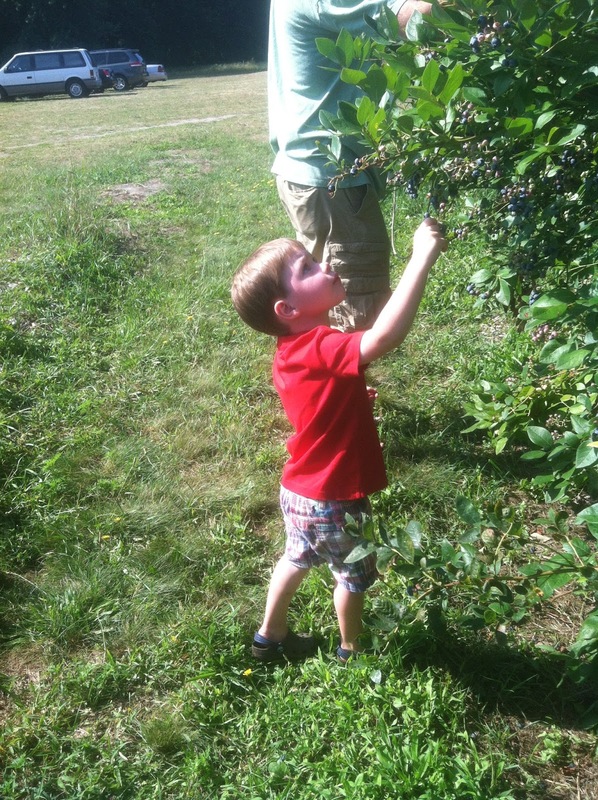 My little man loves to go apple and strawberry picking so I knew he would love Blueberry picking as well. He was so cute oohing and ahhing and sampling the blueberries. I couldn't wait to make a sweet treat with all the blueberries we picked. 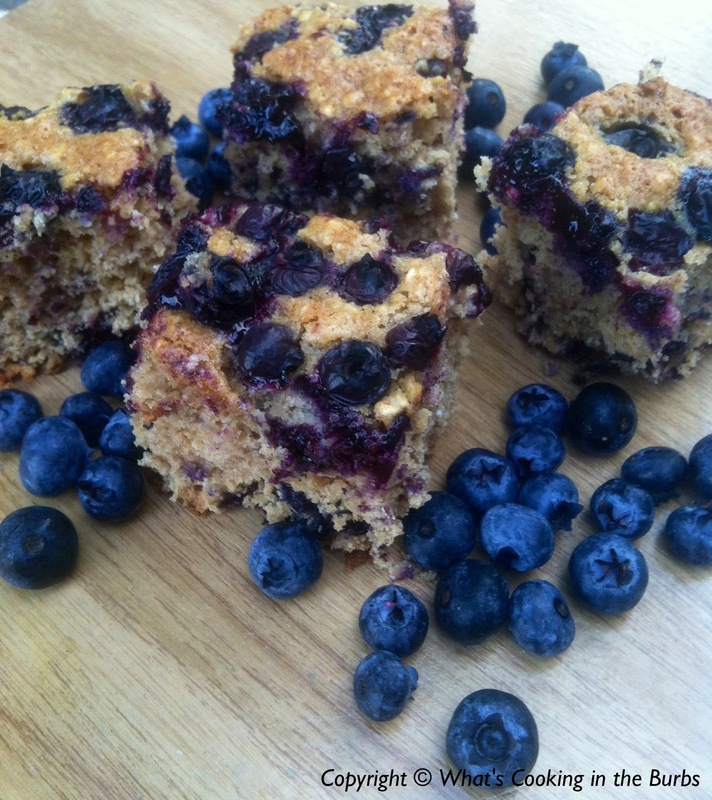 I ended up making this delicious and Oatmeal Blueberry Cake. It was a hit! Combine the blueberries with flour, oats, baking powder, salt, 1/2 teaspoon cinnamon, and 1 cup granulated sugar. In another bowl, whisk yogurt with lemon juice; whisk in the milk and eggs. Pour yogurt mixture into the dry ingredients and stir until blended. Spoon into the prepared pan; sprinkle with cinnamon sugar mixture (about 3 teaspoons sugar to 1/4 teaspoon cinnamon.). Bake for 35 to 45 minutes, or until a toothpick inserted in center comes out clean. Enjoy! Looks so good. Can't wait to give this a try. Your little boy is adorable too! Cute pics! My little guy loves blueberries too. Looking forward to making this! Thank you! I hope your family enjoys it! This looks yummy and I have everything I need in the house! The u pick it farm sounds like fun - all we have are apples are here! This cake looks great! Thanks for the invite to link up, Becca! Thanks for linking at our SUPER SUNDAY Link Party! 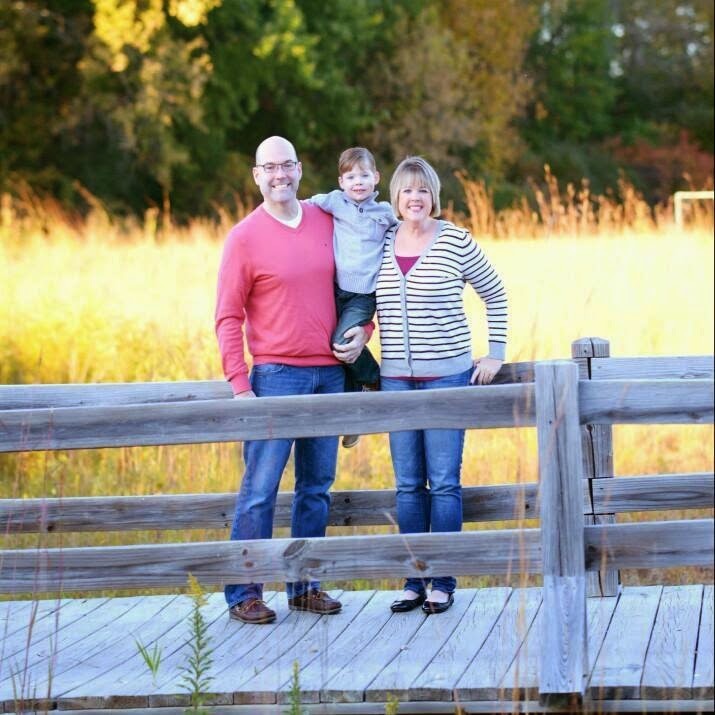 Bevin picked your post as her pick of the week! Congrats! Stop on over and link up again, we love friends that stop back over! How fun to cook with something you picked! Great dessert! Pinning. Thanks for linking this to the IN and Out of the Kitchen link party!